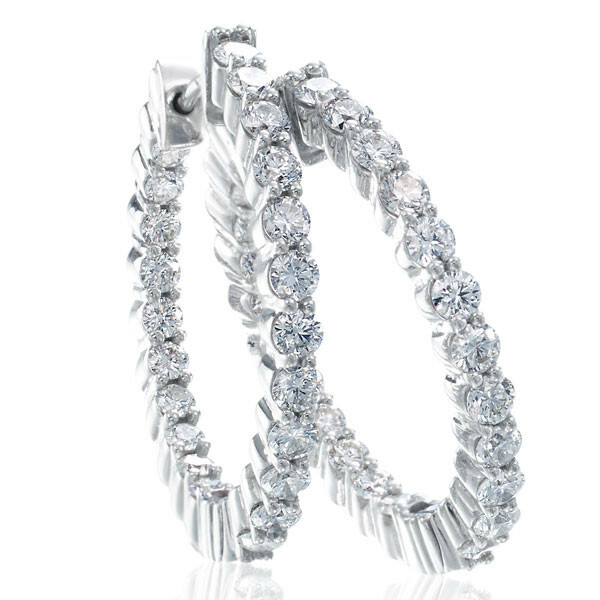 All heads will turn to glimpse the chic woman who wears these diamond hoop earrings. With stunning white diamonds on the inside and brilliant white diamonds on the outside, this set of 18kt white gold hoops are quite the sparkly pair. Post backings will keep these earrings in place with a comfortable ease. You love the glow that these dazzling earrings bring to your style.